If you collected all the recent research on marine species and climate change, could you see a pattern of fish and marine species migration? WHAT: A review and synthesis of all available peer reviewed studies of marine species changing under climate change. TITLE: Global imprint of climate change on marine life subs req. This paper, with its laundry list of collaborative authors must have had an awesome ‘we got published’ party. However, when you think about what they did – all that data would have taken forever to number crunch, so it’s a good thing it was all hands on deck. So what were they looking at? They were trying to work out if you can see the fingerprint of climate change in the distribution changes of marine species. And to do that, they looked at all the available studies in the peer reviewed literature that were looking at expected changes for fish and other species in the ocean with climate change. Then, they lined up the predictions with the observed results to see what happened, and it turns out we’ve got some frequent travelling fish. After getting all the studies together, the researchers had 1,735 different observations for everything from phytoplankton to zooplankton to fish and seabirds from 208 studies of 857 different species. 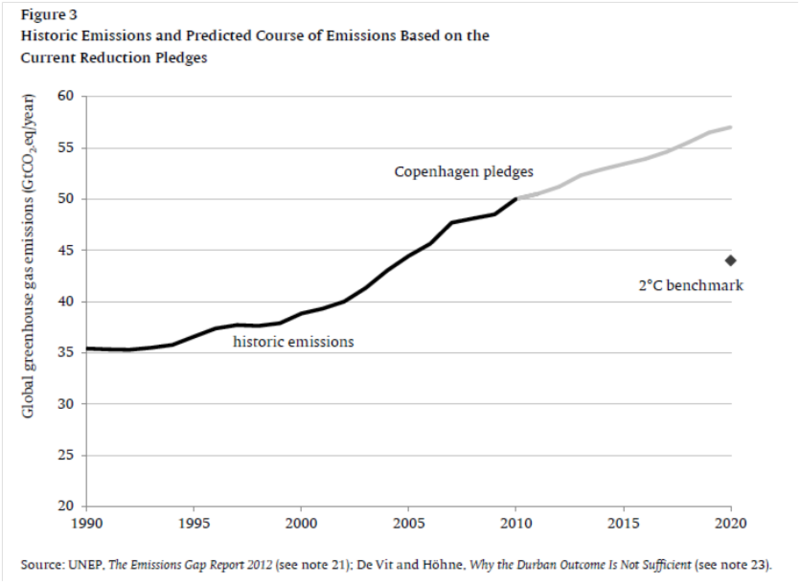 They used all of the data they had which included the changes that lined up with climate change projections, the ones that had no changes and the ones that had unexpected changes. Ocean currents make it easier for species to travel longer distances than plants and animals on land. There’s only so far a seed can travel from the tree with the wind, after all. 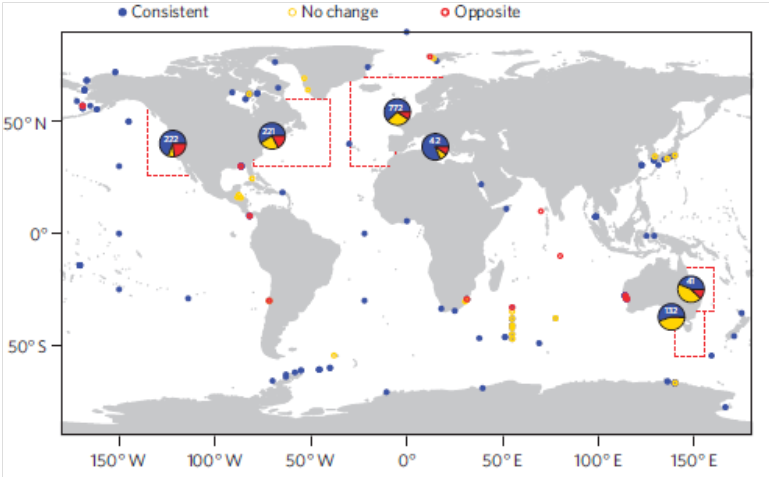 However in this research they found that the average distance of expansion for marine species was 72km/decade (±13.5km). This doesn’t sound like a lot to a human, but it’s an order of magnitude further than land based migration averages, and it’s a long way for a mollusc or a starfish to go. The species chalking up the most frequent flier points were phytoplankton which have been moving 469.9km/decade (±115km) followed by the fish who have been moving 227.5km/decade (±76.9km). Of the 1,735 observations, a whopping 1,092 were moving in the directions expected by climate change. For each species migration, the researchers looked at what the expected decadal rates of ocean temperature change would have been in the area and found that some groups move early, some wait longer, others are falling behind. For example, in the Bering Sea (where the Discovery Channel show ‘The Deadliest Catch’ was set), many species rely on the really cold water that is less than 2oC and separates the Arctic and subarctic animals. This cold pool of water has been moving further north as the Arctic ice sheet melts, but the responses by species are varied. Some are at the leading edge and move early, others don’t. The researchers think this is related to issues around population size, ability to migrate, dependence on habitat (remember how Nemo’s dad didn’t want to leave the reef? ), competition for food and others. I guess it’s similar to when a natural disaster happens in a human area and some families leave, others rebuild and it’s for a whole complicated list of reasons like family, jobs, resources and more. Anyway, back to the fish. The researchers tested their data for a climate change fingerprint globally. They used a binomial test against 0.5, which is the result you would get if these changes in location were random variability and from their test, 83% of the changes had climate change as a dominant driving force. If they limited their data only to studies that were multi-species, there were still 81% of the changes that were driven by climate change. They ran the data to exclude every bias they could think of and still they concluded that it provided ‘convincing evidence that climate change is the primary driver behind the observed biological changes’. So there you have it – climate refugees aren’t just land based. Nemo’s going to have to move too. 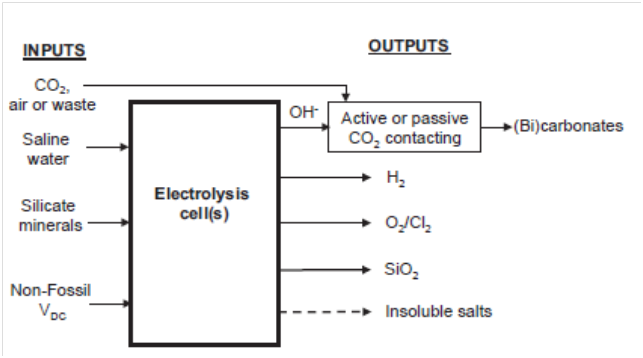 Is additional atmospheric CO2 fertilizing plants? Is this a good thing? Research School of Earth Sciences, Australian National University, Canberra, Australian Research Council Centre of Excellence for Climate System Science, Sydney, New South Wales, Australia. Graham D. Farquhar, Research School of Biology, Australian National University, Canberra, ACT, Australia. Climate deniers and people who don’t want to take action on climate change often say that increased levels of CO2 in our atmosphere will be a good thing, because plants need CO2 to grow, so why not let the plants have all the CO2 they want and watch them grow like gangbusters!? 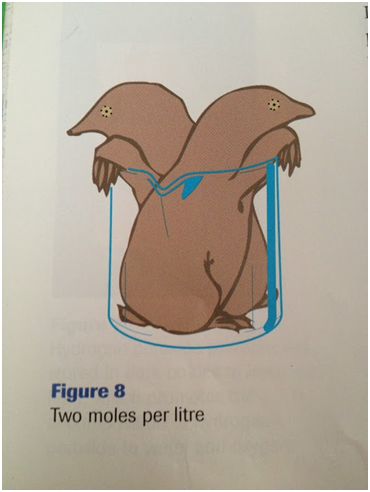 This is the same as suggesting that because humans need water that I should drink water all the time without pause and that would be awesome (it wouldn’t; I would die from water intoxication). Flaws in denier logic aside, these researchers from the CSIRO tried to find out if you could measure whether there was an increase in plant growth from increased atmospheric CO2 and whether you could measure it. The researchers looked at warm, arid areas of the world where rain is the limiting factor for plant growth. Places like South Western Australia, Southern California and South Eastern Spain. They then looked at the plant growth data from 1982-2010 and broke it into three year segments that were averaged to make sure they accounted for a lag time between changes in rain patterns and plant growth. Then they ran the numbers for what plant growth would have been with constant amounts of rain so they could separate out the effect of CO2 alone. What they found was that transpiration and photosynthesis are directly coupled to atmospheric CO2, which plays a role in setting the Fx edge (upper limit of plant growth). Plant growth increased ~11% between 1982 and 2010 from increased levels of atmospheric CO2 fertilization. Then, just to make sure they were correct, they looked at the different things that could have influenced that increase. Increased temperatures lowered plant growth (too hot to grow). Plant productivity increased to a certain point under drought conditions (as plants became more water efficient and drought tolerant), but that couldn’t account for the 11% increase. 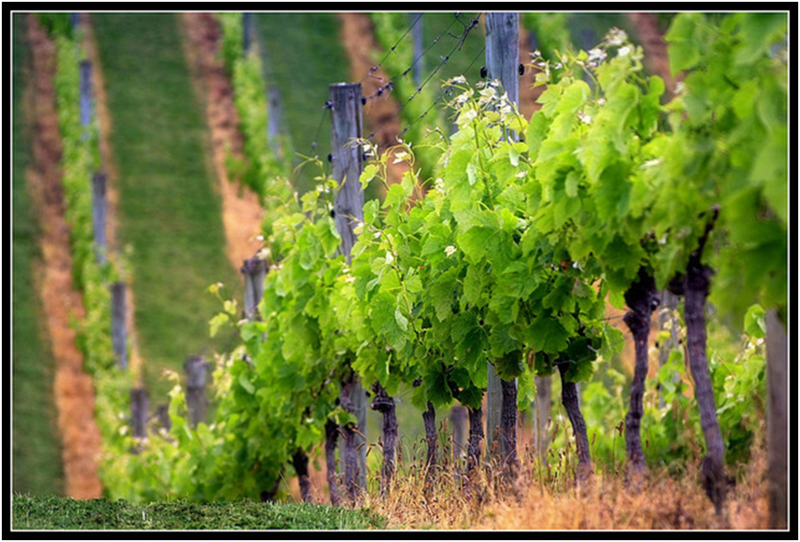 There was an observed 14% increase in plant growth from a 10% increase in precipitation, but that couldn’t account for their numbers either because they ran them for a constant level of rain. So, as the researchers stated in their paper, this ‘provides a means of directly observing the CO2 fertilization effect as it has historically occurred across the globe’s warm, arid landscapes’. But does this mean all plants will grow more and we don’t have to worry about climate change anymore? Unfortunately, no. This only applies to warm arid areas where water is the dominant limit to growth. Also, the other effects of climate change – longer droughts, more extreme storms, longer heatwaves, more extreme bushfires – are likely going to outweigh the positive effect of the increase in growth from CO2 fertilization. So yes, there is a fertilization effect from increased CO2, but no, it doesn’t mean we get to keep burning carbon. The World Meteorological Organisation global climate report for last decade shows it winning all the most extreme awards. 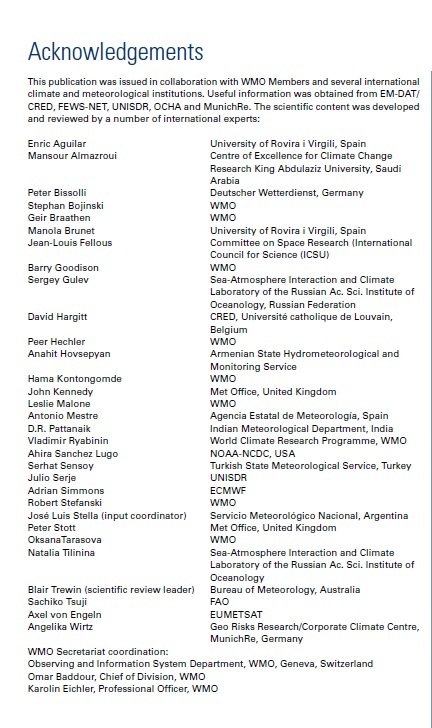 WHO: The World Meteorological Organisation (WMO) in conjunction with these international experts and meteorological and climate organisations. The World Meteorological Organisation (WMO) recently released their wrap up of the last decade’s worth of global weather related data. Now, as you will all remember, climate is the long term trend of the weather (generally over a 30 year period) but it’s also important to keep track of the decade to decade trends, if not because 10 is a nice round number to deal with. So what did the last decade’s report card look like? Turns out 2001-2010 was an overachiever when it came to records and extremes, which is bad news for all of us, really. 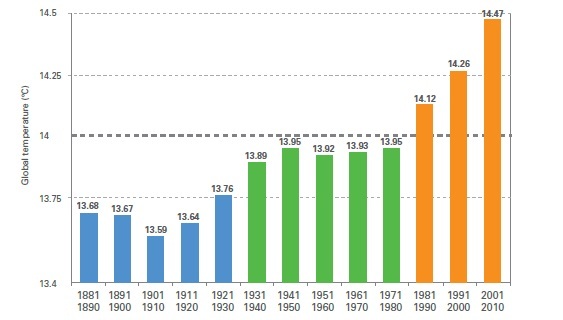 The last decade was the warmest on record for overall temperatures and the speed of warming has amped up as well. The long term warming trend is 0.062oC/decade, but since 1970 it’s sped up to 0.17oC/decade. If you only look at land surface temperatures 2007 held the record for hottest with 0.95oC above average, with 2004 the ‘least warm’ (there’s no long term cold records happening here) at 0.68oC above average. If you look at sea surface temperatures, 2003 wins with 0.40oC above average and 2008 was the least warm at 0.26oC above average. The warmest year in the Northern Hemisphere was 2007 at 1.13oC above average and in the Southern Hemisphere 2005 wins with 0.67oC. When it comes to rain, it’s a mixed bag. There were places that got more rain, there were places with drought, there were more extremes. South America was wetter than normal, Africa was drier than normal. Overall, 2002 was the driest year of the decade and 2010 was the wettest. The problem with rain patterns changing with climate change is that the location and the time frame changes. Instead of slow soaking rains, it’s extremes of dry spells followed by flash flooding. The patterns of El Niño and La Niña switched back quite a lot during the decade, with El Niño generally creating warmer trends and La Niña creating cooler trends. To qualify as an extreme event, an event needs to result in 10 or more people dying, 100 or more people being affected, a declaration of a state of emergency and the need for international assistance, which I think is a pretty high bar. But of course, since the last decade was overachieving, there were 400 disasters of this scale that killed more than 1million people. Weather disasters represented 88% of these extreme events and the damage from these events have increased significantly as well as seeing a 20% increase in casualties from the previous decade. The extra casualties have been from some extreme increases in certain categories like heatwaves. In 1991-2000 6,000 people died from heatwaves. In 2001-2010 that jumped to 136,000 people. The price of extreme weather events has also gone up with 7,100 hydrometeorological events carrying a price tag of $US1trillion and resulting in 440,000 deaths over the decade. It’s also estimated that 20million people worldwide were displaced, so this was probably our first decade of a sizable number of climate refugees. Internal displacement will be one of the biggest factors as people move away from the more extreme parts of their country to the places where it still rains (eg. from Arizona to Oregon). Tropical storms were a big issue, with the report noting ‘a steady increase in the exposure of OECD countries [to tropical cyclones] is also clear’. It’s nice to see them point out that issues around extreme weather are not a developing world problem because they don’t have the infrastructure to deal with them, shown through the flooding in Germany and Australia last decade. There was also a special shout-out to my homeland of Australia, for the epic heatwave of 2009 where I experienced 46oC in Melbourne and can attest to it not being fun. Of course, that epic heatwave was beaten by 2013’s new extreme map colour. 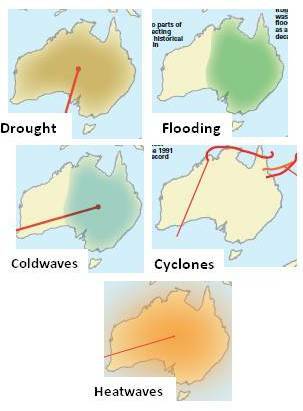 However I noted Australia was getting pretty much all of the extreme weather effects over the decade. Ouch. Even for the category of ‘coldwaves’ where the Northern Hemisphere saw an increase in freak snowstorms, the average temperature for the winter was still +0.52oC warmer than average. Last decade was also setting lots of records in the cryosphere (frozen part of the planet). 2005-2010 had the five lowest Arctic sea ice records which have been declining in extent and volume at a disturbingly rapid rate in what is commonly known as the Arctic Death Spiral. There’s been an acceleration of loss of mass from Greenland and the Antarctic ice sheets and a decrease in all global glaciers. 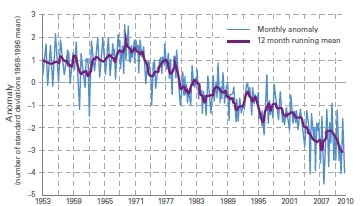 The World Glacier Monitoring Service describes the glacier melt rate and cumulative loss as ‘extraordinary’ and noted that glaciers are currently so far away from their equilibrium state that even without further warming they’re still going to keep melting. Oh, and last decade won the record for loss of snow cover too. 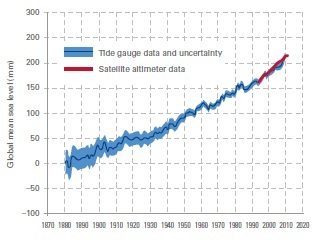 Sea level has started rising faster at a rate of 3mm/yr last decade, which is double the historical average of 1.6mm/yr. Interestingly, sea level rise is not even across the globe due to ocean circulation and mass. In a La Niña year, the Western Pacific Ocean can be 10-20cm higher than the average for the decade, but there’s only one way sea levels are going as the water warms and expands and the ice sheets melt – up. Finally, if all of that wasn’t enough bad news for you – the report looked at the gas concentrations in the atmosphere and found (surprise, surprise) that CO2 is up and accounts for 64% of the increase in radiative forcing (making our planet warmer) over the past decade and 81% of the increase in the last five years. Methane is responsible for 18% of the increase and Nitrous Oxides chip in 6%. Does it make anyone feel better if I tell you the hole in the ozone layer isn’t getting bigger anymore? Basically the world we live in is getting more extreme as it heats up at an ever increasing rate. 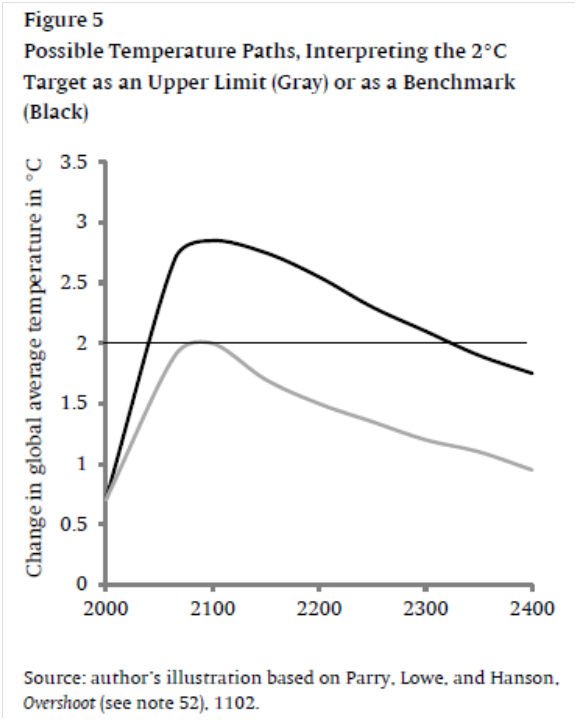 Given that these are the changes we’re seeing with a 0.8oC increase in global average temperatures and that’s from carbon we burnt over a decade ago, how about we stop burning carbon with a little more urgency now?